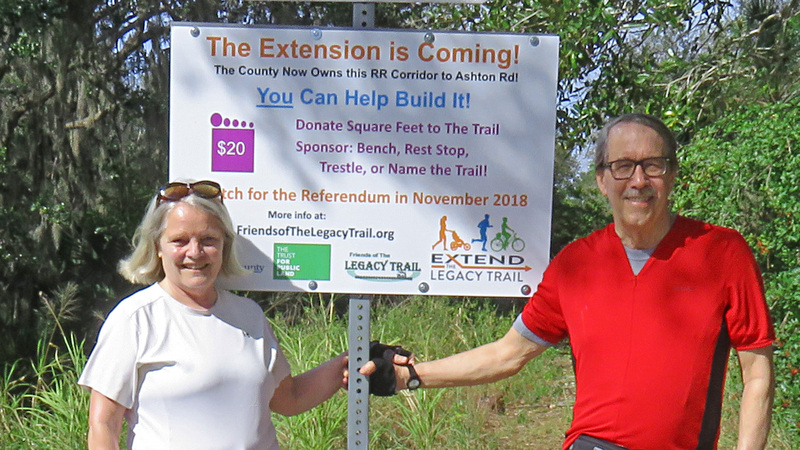 A group of FLT board members and a former board member celebrate the purchase of the next trail section and put up a new sign. 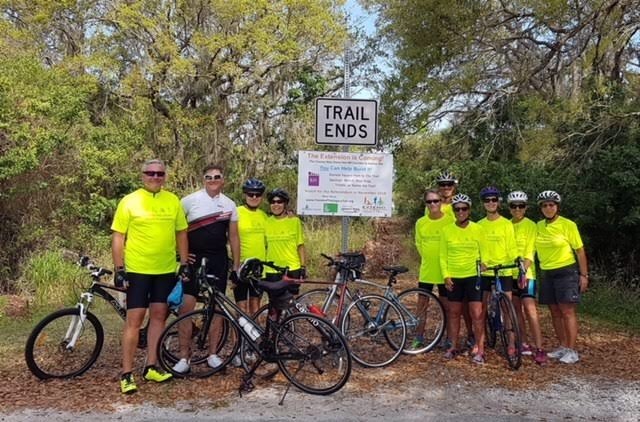 The Laurel Group stops by on their "recovery" ride. 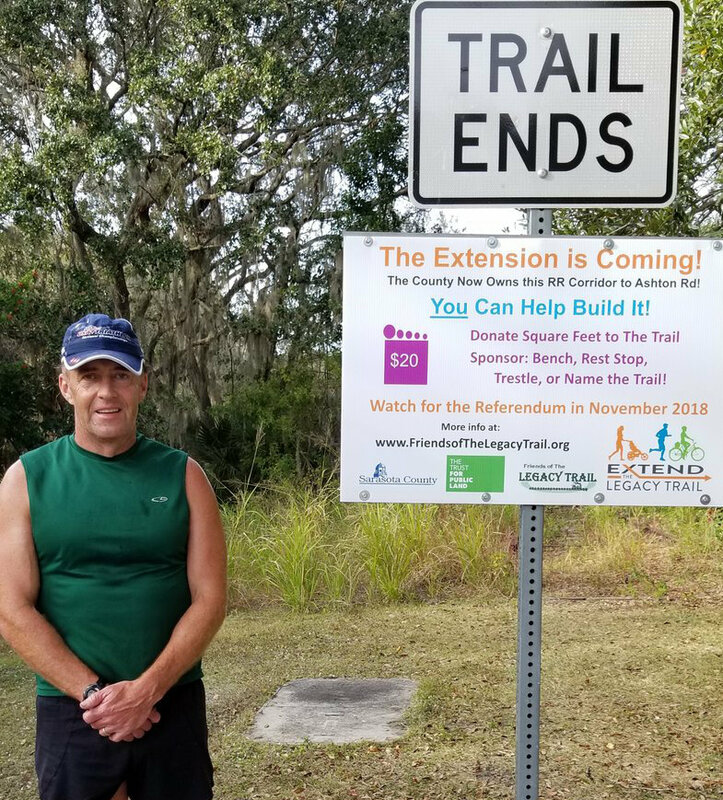 Jeremiah Ryan training on the Trail for the Boston Marathon. 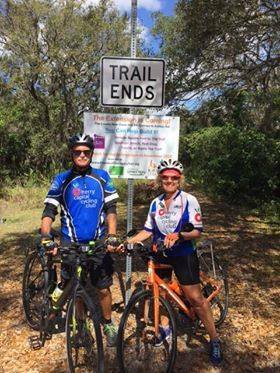 Dorine Pomponio just getting started riding the trail. 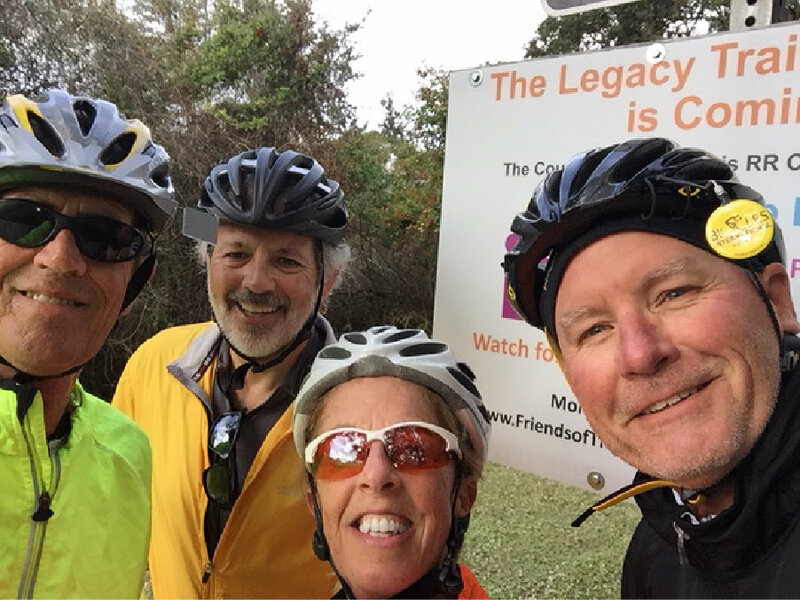 Riders from the Milano neighborhood ride 14 miles from Milano to the end of the old, and start of the new Legacy Trail. 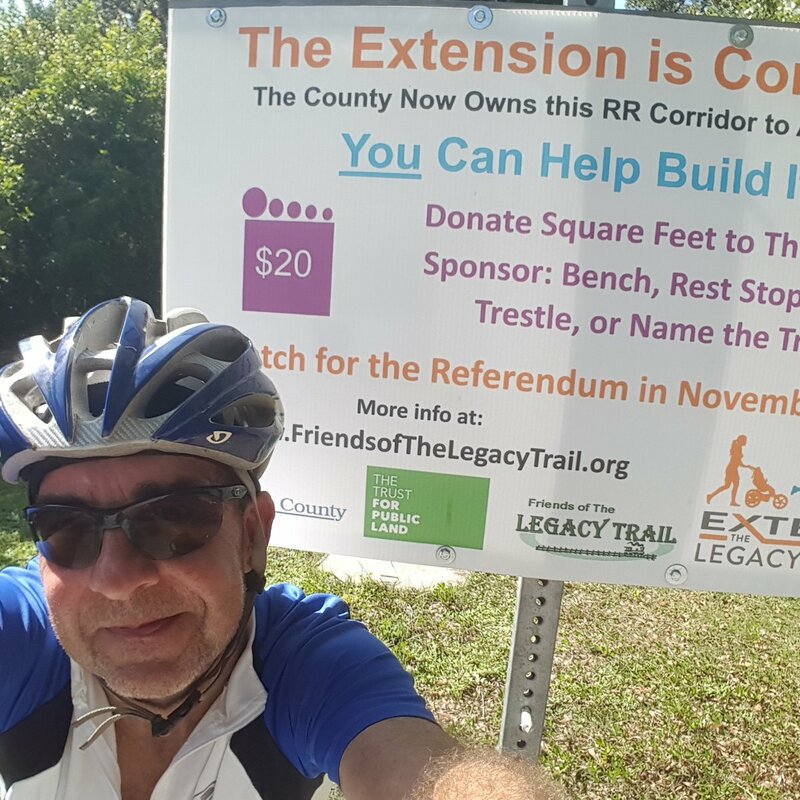 This from Doug Barnes-a SUPER SUPPORTER for FLT & Trail extension! 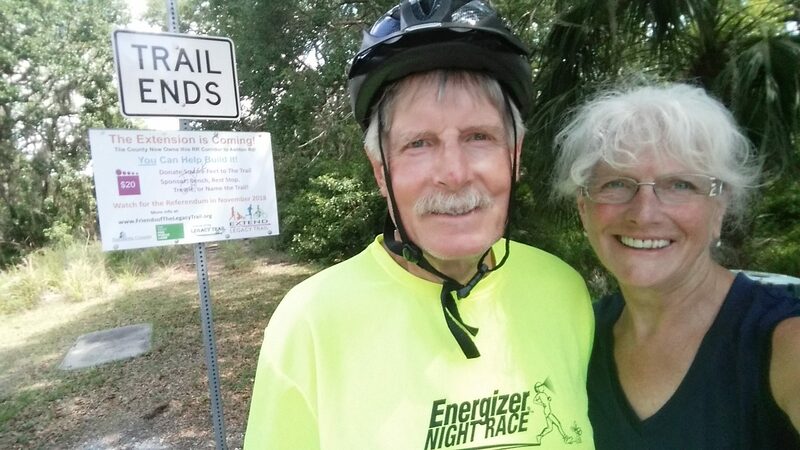 "I recently took this picture with my wife Mary Ann @ the end of The Trail. 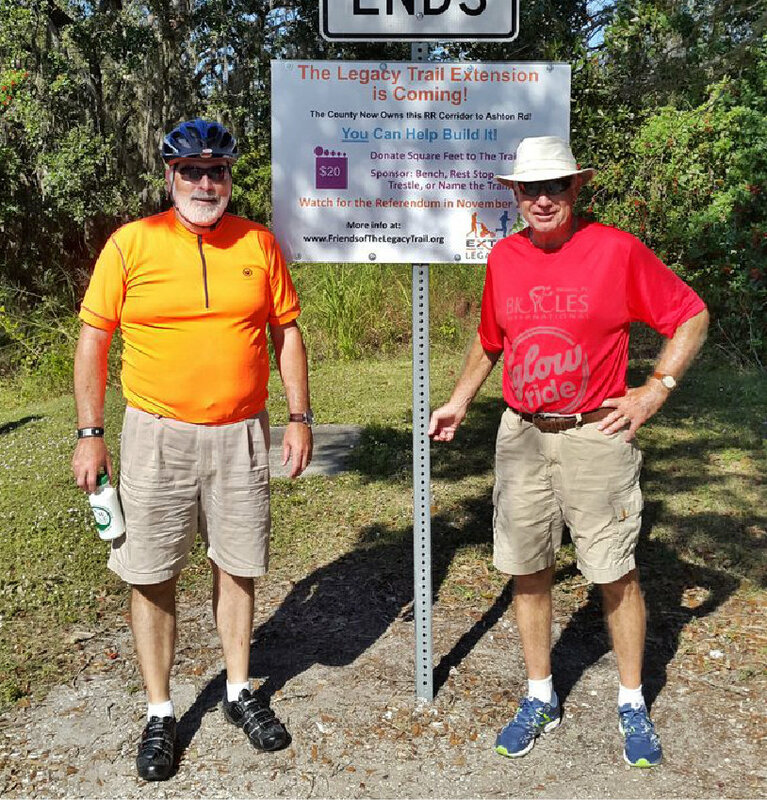 We are from Washington DC & FLT members. 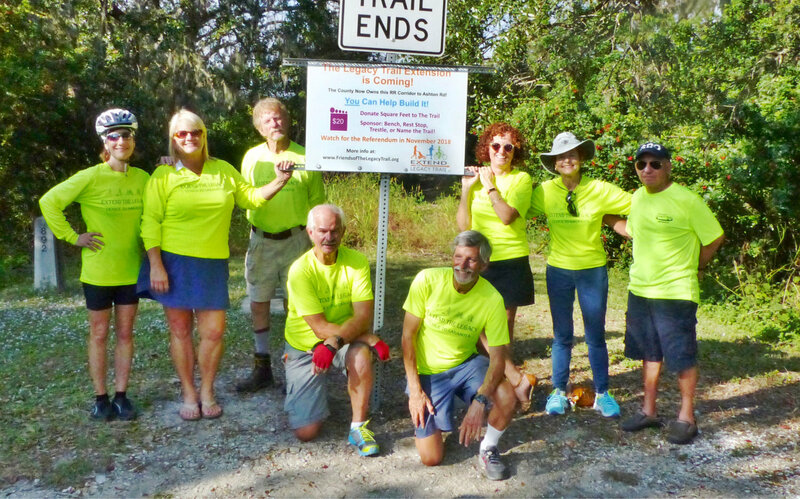 Thanks for all the great work on the trail. 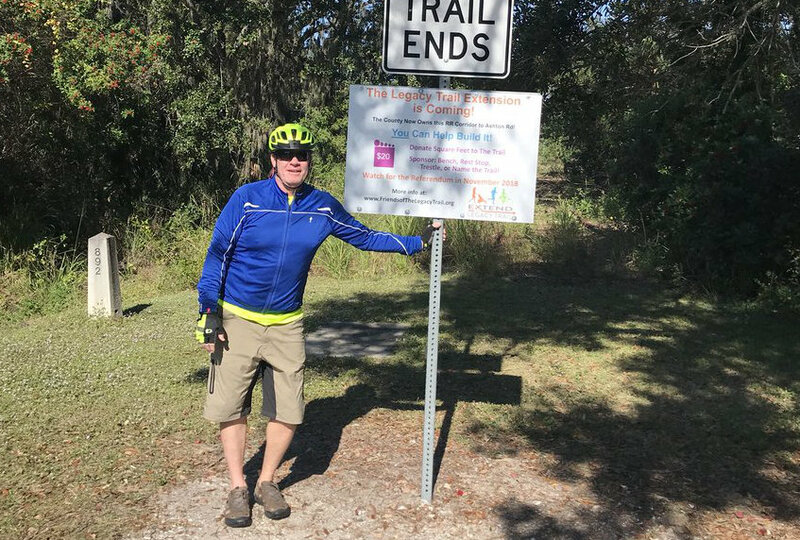 Looking forward to the new segment." 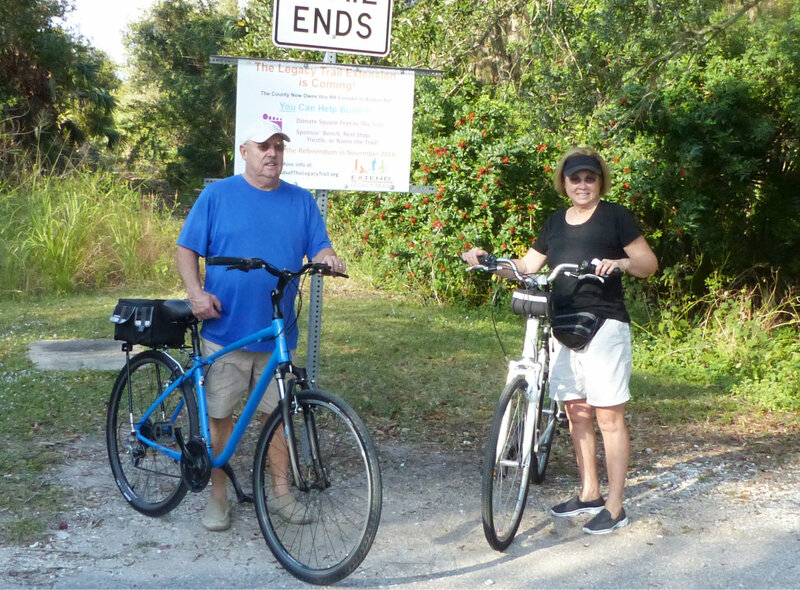 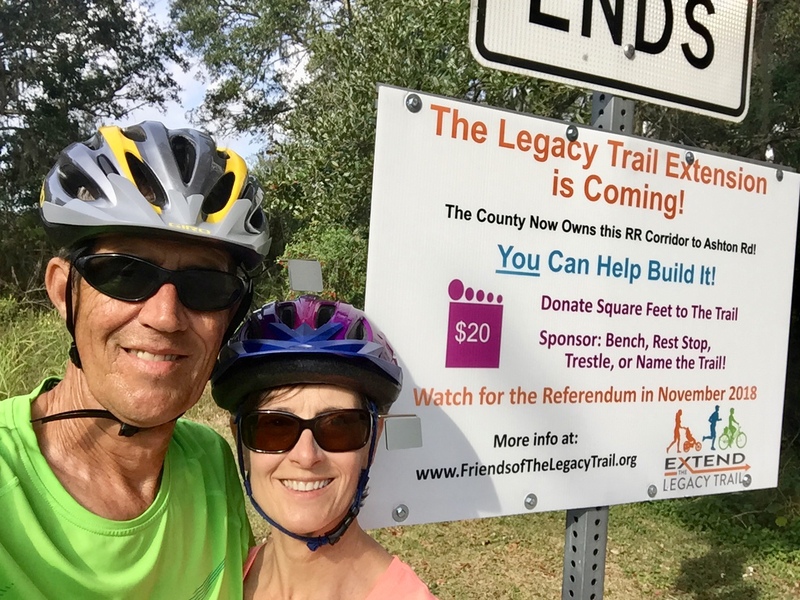 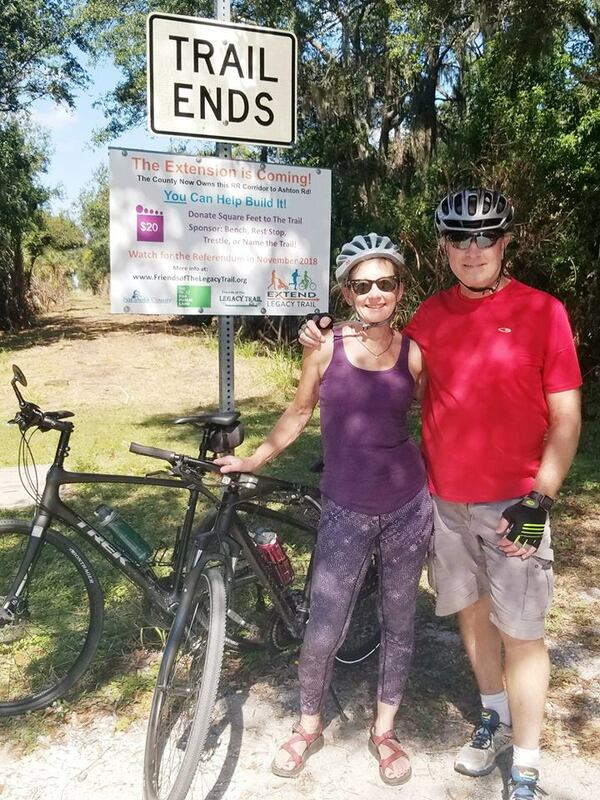 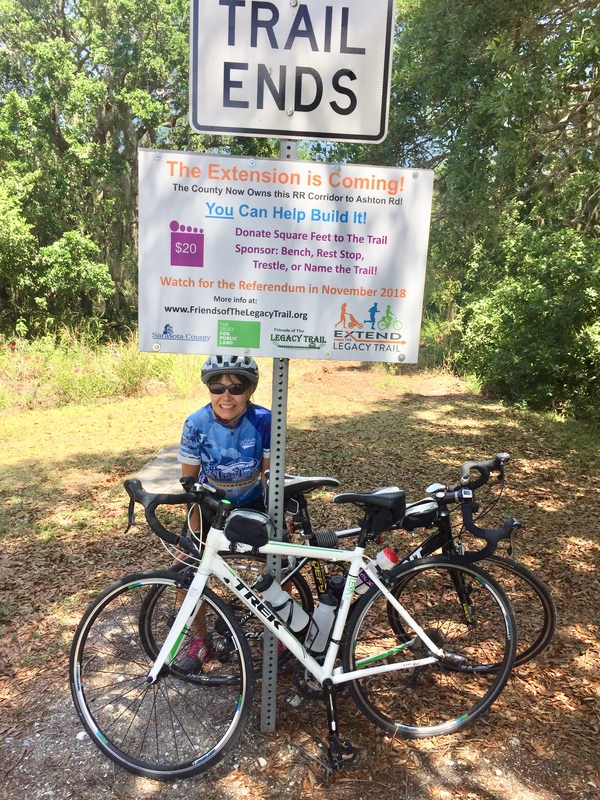 Amy & I are regulars on the Legacy Trail when we're on the Gulf Coast and happy to be part of "Friends" and support the "Extend" program! 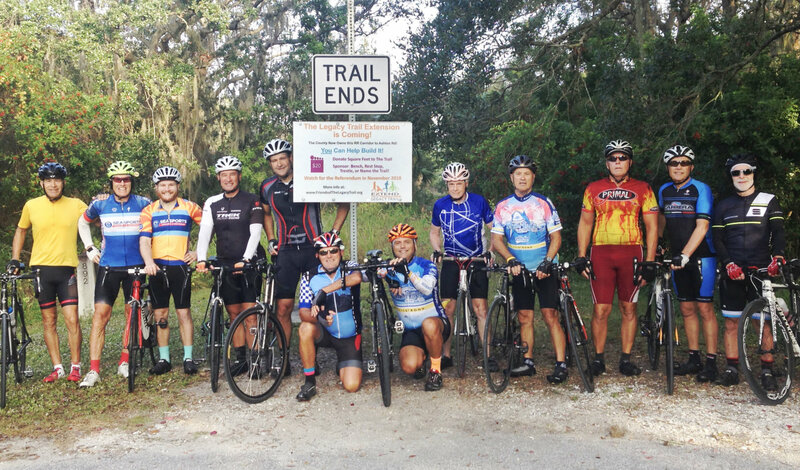 The Milano Bike Group rode ~30 miles round trip to the trailend! 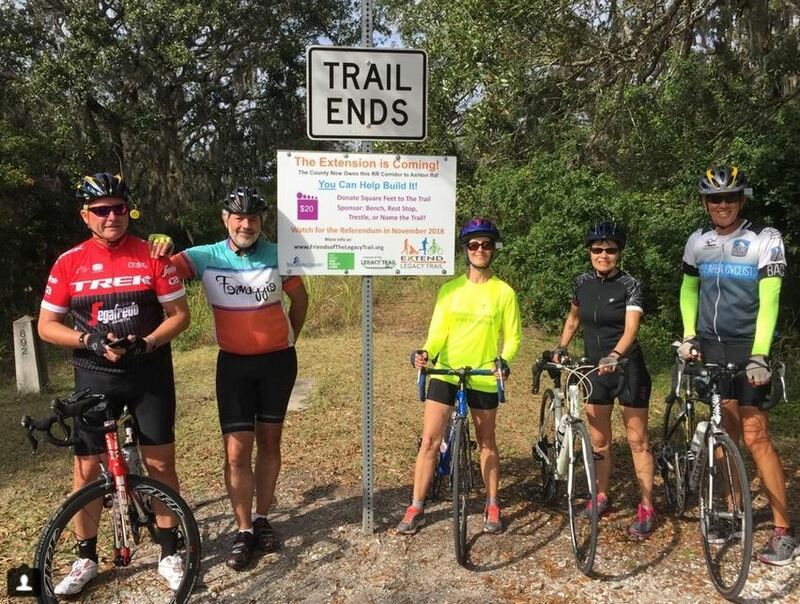 Beautiful March morning for a ride! 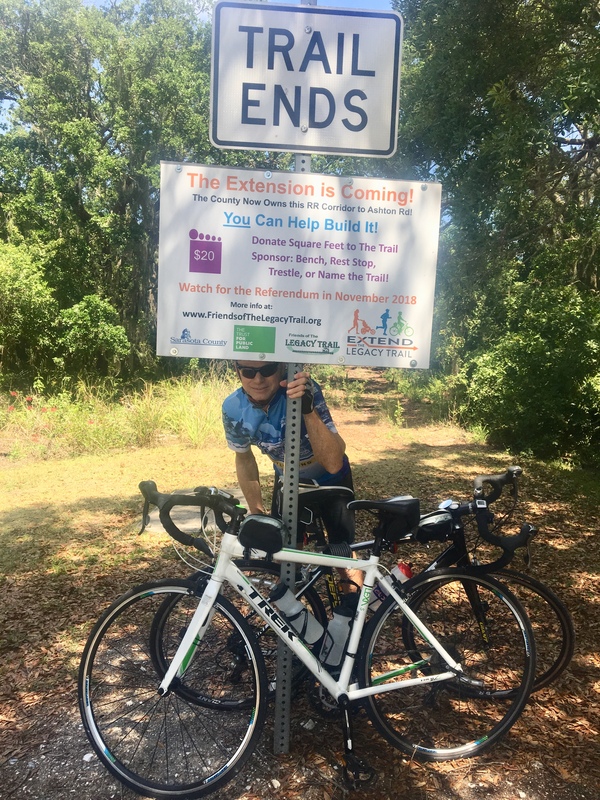 Looking forward to the new 10’ wide sidewalk on Edmondson/Border between Pinebrook and Auburn to open up soon. 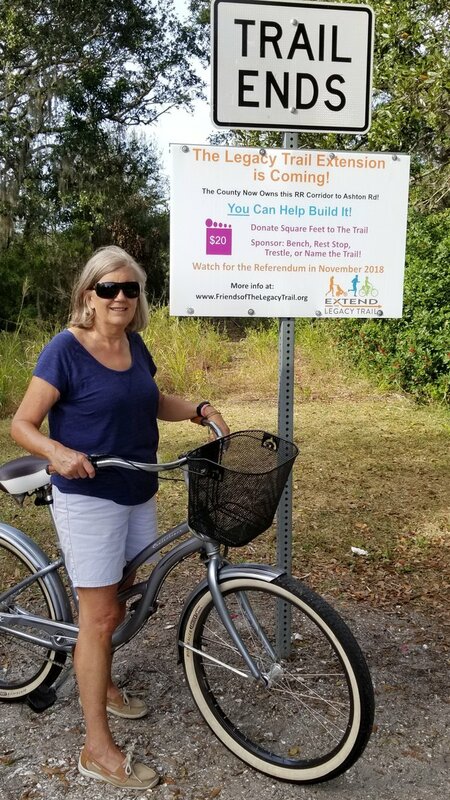 Black topping was being applied today! 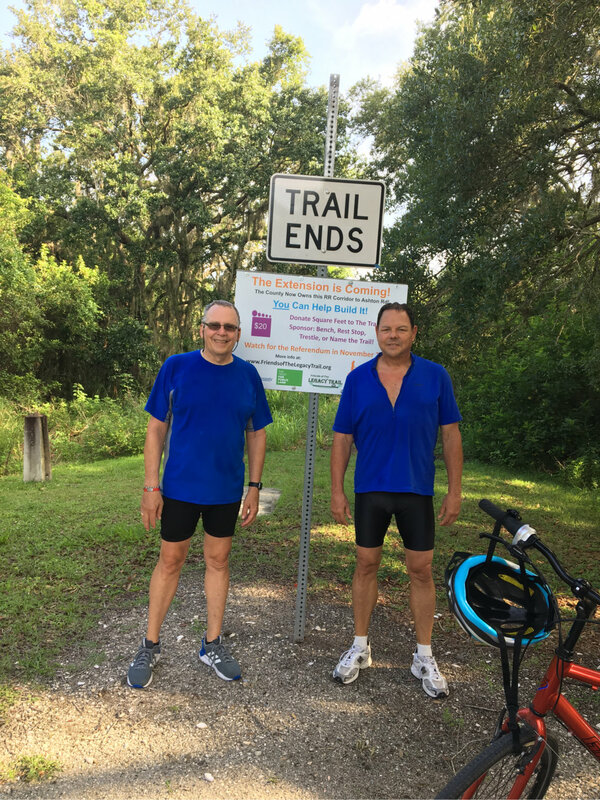 Tom and Jack at the end of the Trail. 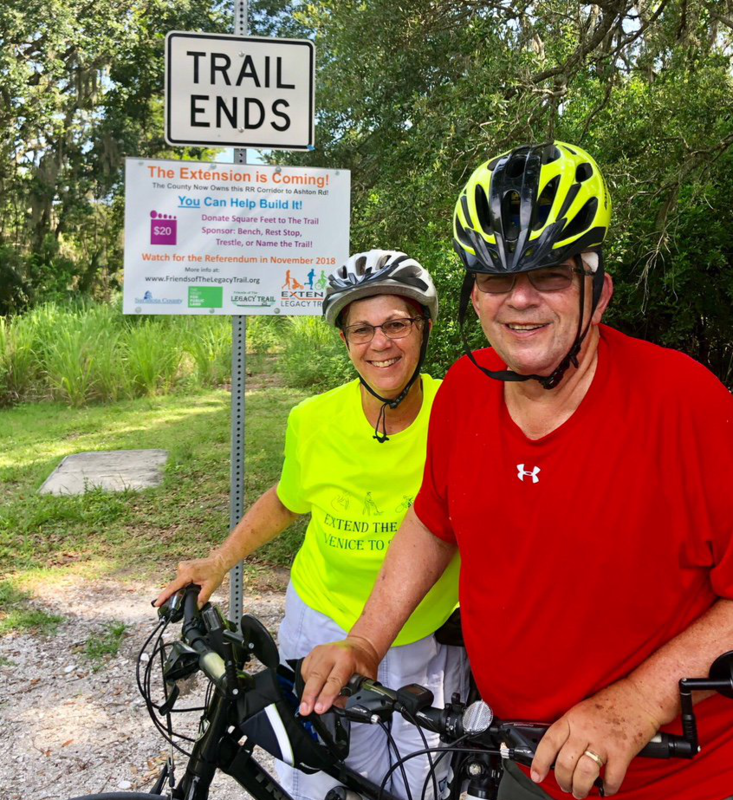 First time on the Trail and they said they love it! 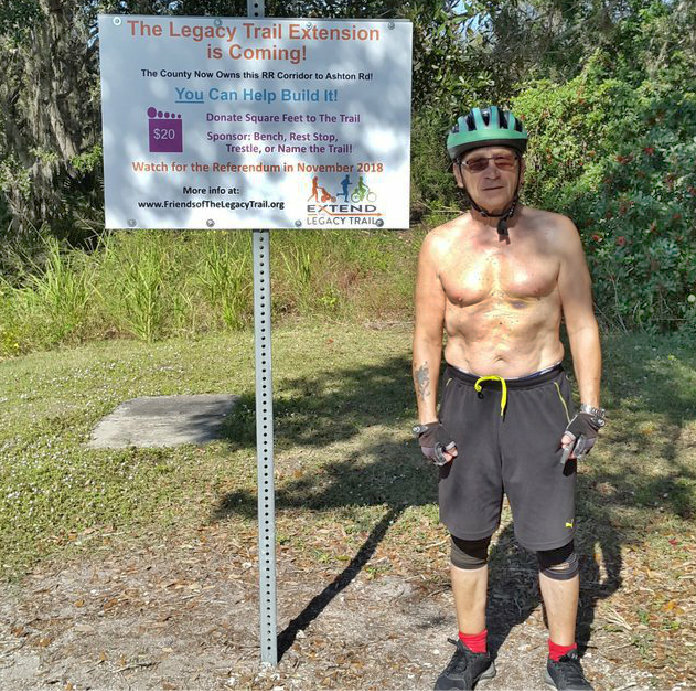 Steven Snyder at the north end of the trail. 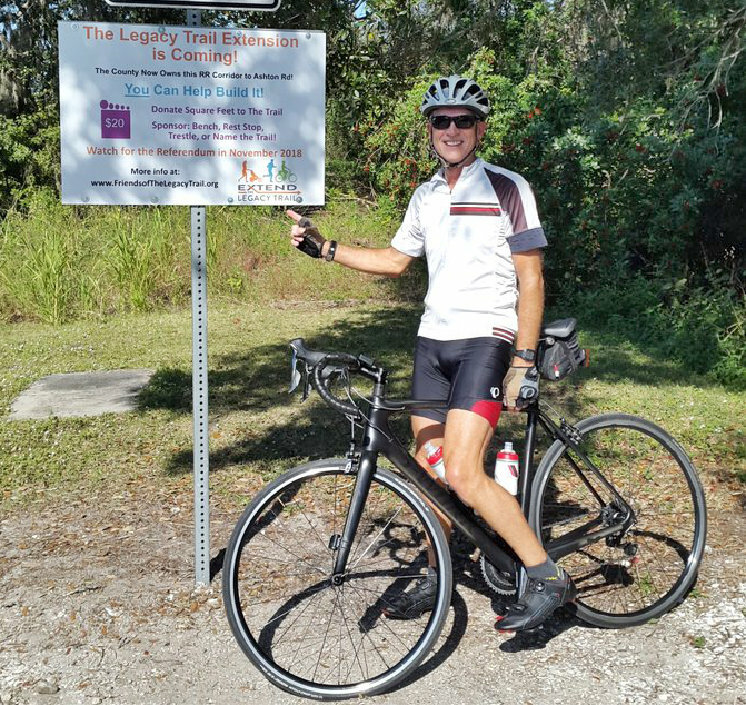 Welcome Steve! 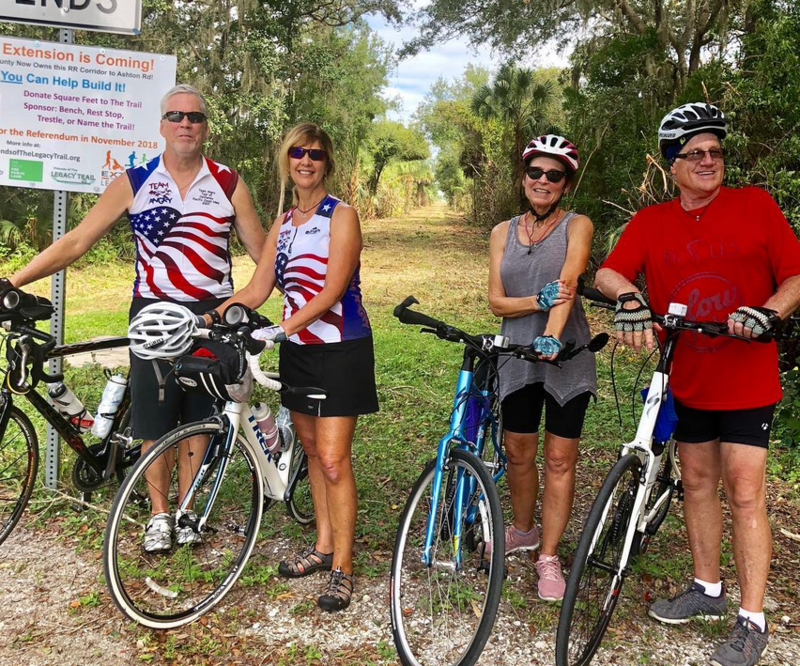 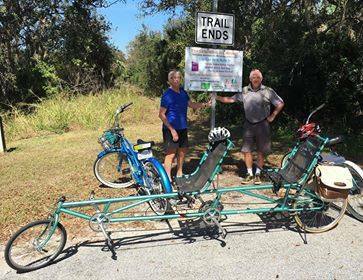 Left to right, Jim and Cheryl Funk (previously from Omaha) and Terry Brennan and Barry Moynihan (from CT) all recently moved to Venice and love riding The Trail. 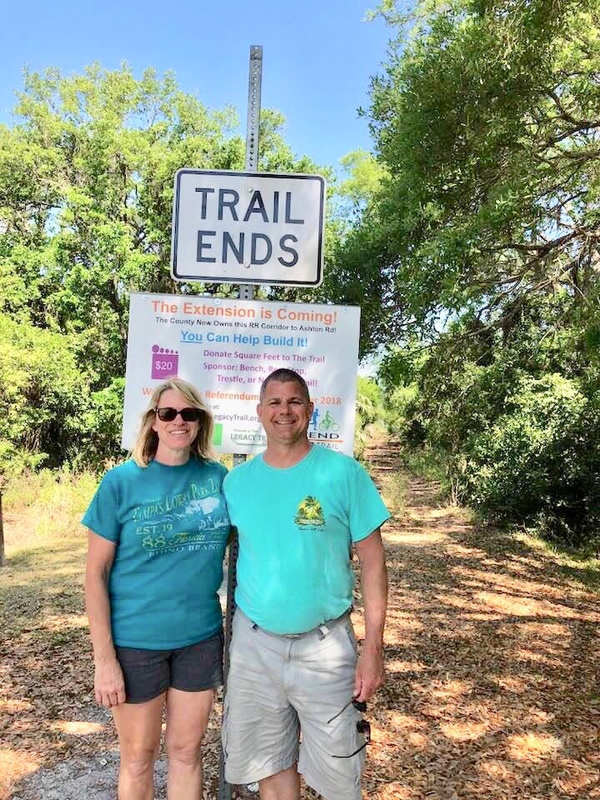 Paula Key from Coydon, Indiana, and Geoff Mallett from Nokomis.